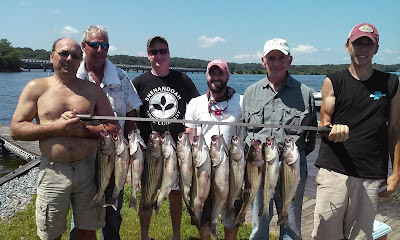 DP took Bernie out for a half day of fishing this morning on the lake and caught a few Stripers. Thank you Jim, For the help with the Lowrance auto +1. I will be playing with my Lowrance. I would like to thank you again for your help. I read all your blogs and it has help a lot. Good luck fishing. And tell DP he is the man , I was out Sunday and it was HOT.